I read many comments, on my last GTA V post, saying that many gamers won”t be buying GTA V on PC, mainly because of the delay Rockstar has put due to technical reasons in the game. Many fans criticized the game and did not want to buy it, all because of what? that Rockstar didn’t do enough to bring you the game on time or didn’t give the gamers a correct time frame to go along with? Well for me, this is just not a good enough reason to drop one of the most anticipated games on PC for more than a couple of years now. 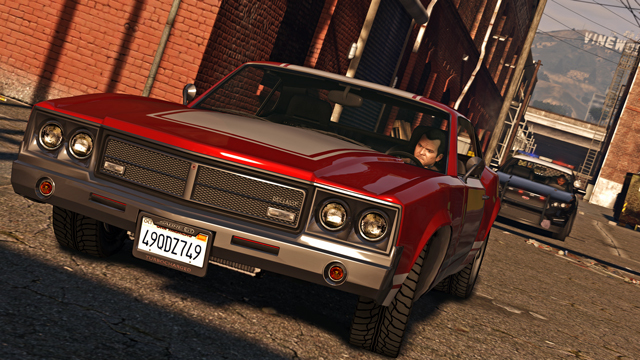 Hence, gamers need a bit of reminding why the PC version of GTA V is a must buy. Well for one, GTA V on PC is the most polished game than on any of it’s release on console and that’s something to say considering that the game is soo popular already on consoles. Just think of the additions and the fact that you’ll be experiencing a game in it’s full, complete form. And the fact that it’s a major upgrade from GTA IV is just the cherry of top of the additions that Rockstar has put into the game. Arguably, one of the most important reasons to play the game on PC are in-game add-ons referred to as mods. Mods allow you to virtually edit the gameplay and put in new scenarios, including alternate cars, graphical updates and some even creating more scenarios for you to enjoy and make it a completely new game to enjoy. The PC version allows more freedom but that does take some extra time. So the PC version will promise you the ability to install in-game mods and play the game like you want it to be! The games minimum specifications are quite low(considering today’s definition of low) and playing GTA V on PC is hence not that expensive as compared to a console. Rockstar has finally understood that the high-end requirements issue in GTA IV was quite serious and made sure that the same did not pass on to GTA V.Also, the ability to play the game in the graphic setting of your choice is also a very big contributor to play the game on PC. While budget gamers will want to play the game in low-resolution and minimal settings, high-end serious gamers can experience the game in it’s prime and use 4K resolution to their advantage. I’ve said it before and I’ll say it again, for an semi-regular gamer like me or maybe yourself aswell, the freedom of using a mouse to control a character has it in for us. A game camera can never be soo smoothly controlled on a console as it can be on a PC just because of a magical, yet simple device we call a mouse. Of course there are some games where a controller suits you better (i.e. some RPGs and Sport games) but a mouse always provides the feel where a controller fails to do so. Well, this it it in my list of GTA V PC version advantages. Do add in the comments section what has it in for you to play the game on a PC rather than a console.